Glad to be getting some recording done after being under the weather for a while. 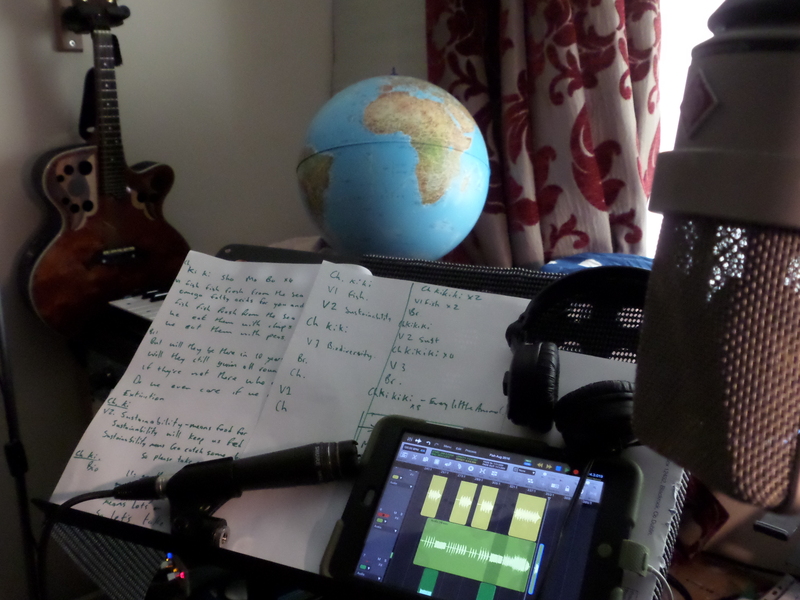 Today I was recording and doing some vocal overdubs on a song about sustainability, biodiversity and overfishing. The challenge as usual is to keep it entertaining and not too preachy but hopefully get the message across all the same. I hope to have it up on www.climatechangesongs.com soon.